An explosion on a Tube train in south-west London is being treated as terrorism... Scotland Yard has said this is the fifth terrorism incident of 2017 in which an attack has taken place. 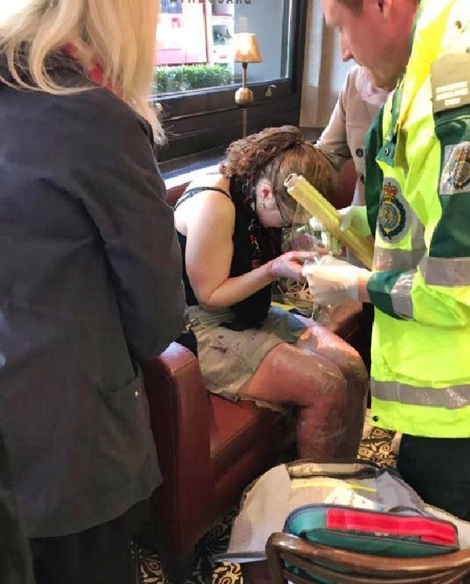 A terrrorist explosion on a London train has left commuters with serious burns and sent hundreds of others running for their lives, causing a panicked stampede. 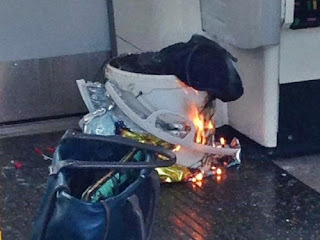 The Friday morning commute in Britain’s capital descended into chaos after a “fireball flew down a carriage” at Parsons Green station, in London’s southwest. Police are treating the incident as terror-related, as images emerge of the suspected improvised explosive device. 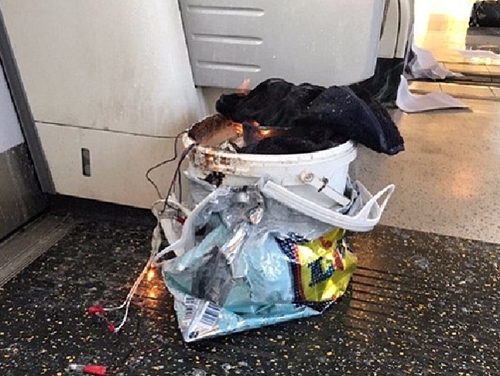 The blast, which occurred at 8.20am local time (5.20pm AEST) came from a plastic bucket inside a shopping bag, left by the tube carriage door. Images on social media show several wires coming from the flaming container. Ambulance crews are on the scene and there are reports of facial, leg and arm burns, as well as multiple other injuries caused by a crush of fleeing people. A local Metro reporter, who was on scene at the time of the incident, claimed several people had sustained serious burns and that “their hair was coming off”. The Sun quotes an onlooker saying it was like a “fireball flew down a carriage” with panicked commuters diving out an open door. And a man interviewed on BBC News said it was a “wall of flame down a carriage after a bang”. Counter-terrorism authorities have taken over the investigation after conducting an initial sweep of the area. Whoever planted the improvised explosive device is still at large. In addition to the blast, it appears there have been multiple serious injuries caused by the crush of people fleeing the blast. Emma Steveton told BuzzFeed there were “three layers of people underneath me” in a stampede that occurred. “There was a poor little boy smashed into the floor with his face bleeding. There was a woman shouting that she was pregnant.